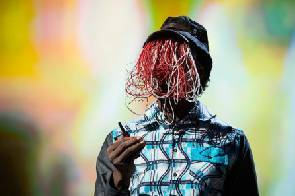 The death is reported at the Korle Bu Teaching Hospital of Mariam Damba, the mother of ace Investigative Journalist, Anas Aremeyaw Anas. Until her demise on Saturday morning, sixty-two-year-old Madam was a community health nurse at the Nima Polyclinic in Accra. She will be buried in accordance with Islamic tradition, family sources say. Meanwhile, Anas has expressed profound gratitude to the hard-working doctors and nurses at the Korle Bu Teaching Hospital's Medical Emergency who did their best to save the life of the late mother. “I thank all hard working doctors at the Medical Emergency Unit at Korle Bu for their frantic efforts at trying to save my mother’s life,” he said. “Also to you the energetic nurses who did their best too, I thank you,” he added. Madam Mariam Damba left behind, her husband, Anas Mahama of the 37 Military Hospital, an ex-military officer, and three children, Anas Aremeyaw Anas and sisters Karimatu Anas and Humu Kulsum Anas.